seven + three = Required Please enter the correct value. Ramped up production and ample supply have weighed on natural gas prices over the past year, pressuring natural gas stocks. But news out of Asia this week delivered support for a long-term bull market for natural gas. The International Energy Agency (IEA) reported Tuesday that worldwide demand for the fossil fuel is expected to increase some 17% over the next five years, thanks in a big way to China. Despite recent signs of a slowing economy in the Asian nation, Chinese consumption of natural gas is expected to double during the period, according to the IEA. China's demand for the fuel is forecast to grow 13% a year through 2017. "Asia will by far be the fastest-growing region, driven primarily by China, which will emerge as the third largest gas user by 2013," the IEA wrote. "There are no doubts that China will become a major importer of gas. The question for external suppliers is how much pipeline gas and LNG China will need in five or 10 years." North American natural gas companies are poised to benefit the most from the surge in Asian demand for the fuel. The region is positioning itself to become a major net exporter of liquefied natural gas (LNG) over the next five years as new projects come on line, the IEA said. The agency added that Asian LNG producers, such as Malaysia and Indonesia, stand to become net importers as local demand balloons and output wanes. China won't be alone in increasing demand. The IEA estimates U.S. natural gas consumption will increase 13% by 2017, and European demand will grow by 7.9%. By 2017, the agency says, low natural gas prices should lead to gas generating almost as much electricity as coal in the United States. "The continued boom in unconventional gas in the U.S. may even herald the end of the hundred-year dominance of coal in U.S. power generation. In 2005, when the first shale well was fractured, coal produced almost three times as much power in the U.S. as gas. By 2017, the race will be almost even," the IEA reported. Money Morning Global Energy Strategist Dr. Kent Moors said a few weeks back that low natural gas prices offer a great buying opportunity for beaten down stocks that will rise as demand soars. In fact, Moors said it was inevitable these prices would climb. "The rise in demand for everything from electricity to petrochemical feeder stock, LNG exports, and even usage in vehicle fuels will start driving that price up over the next two years," said Moors. Moors said investors need to look past near-term performance so they don't miss out on long-term profit potential. In reality, investors can now hop aboard depressed natural gas stocks while they are still cheap. 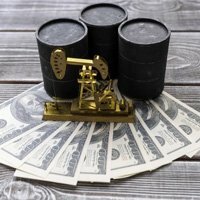 Among the lot that looks promising are Cheniere Energy (NYSE: LNG), SandRidge Energy (NYSE: SD), Chesapeake Energy (NYSE: CHK), and Devon Energy (NYSE: DVN), Dominion Resources (NYSE: D), and Sempra Energy (NYSE: SRE). In addition, behemoth Exxon Mobil (NYSE: XOM), the world's largest publicly traded energy company, hinted it might join the LNG-export trend. CEO Rex Tillerson said Tuesday the company is "studying" the possibility. Exxon has been North America's largest natural gas producer since it acquired XTO Energy in 2010, and it has no intention of being left out of the LNG export explosion. Exxon also is looking at building a new petrochemical plant in Texas to take advantage of cheap shale gas. The facility could come on line as soon as 2016. Exxon Mobile says may export LNG from the U.S.